Johann Strauss collectibles and memorabilia add to the pleasure of some of the most unforgettable melodies in the world. 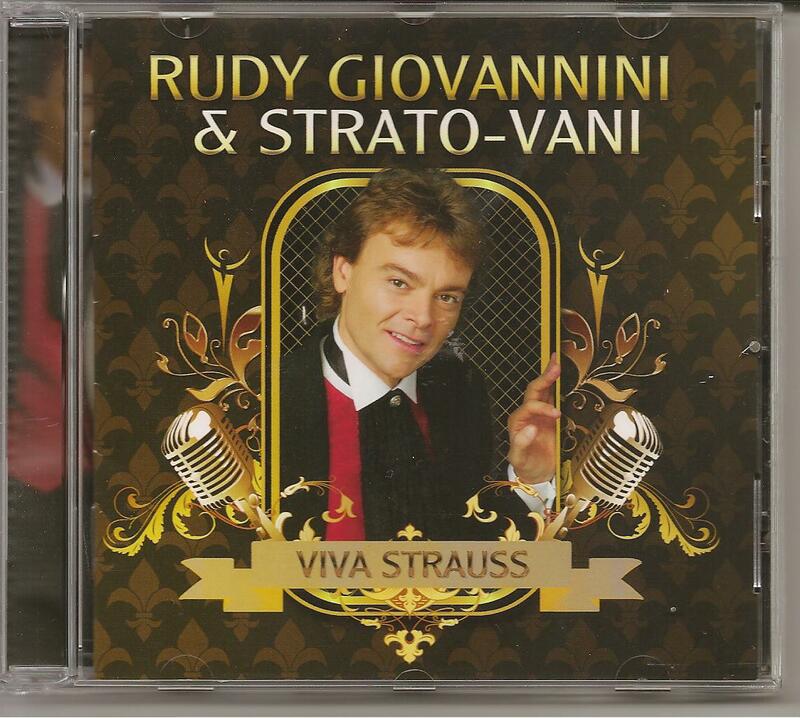 The Belgian pressing of “Viva Strauss” featuring Rudy Giovannini. 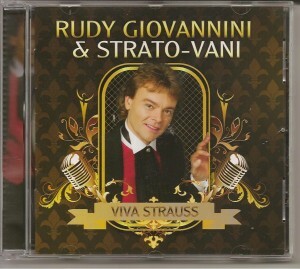 Price: €12.10. 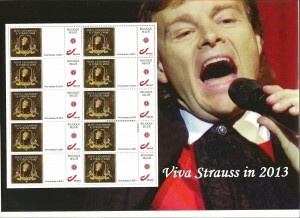 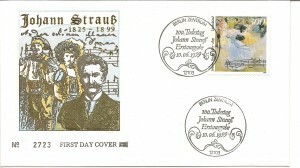 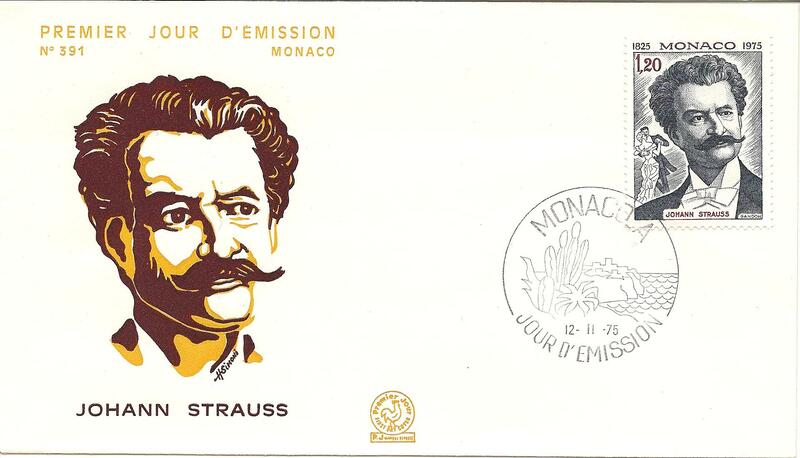 Sheet of 10 stamps featuring Viva Strauss, produced by the Belgian post office. 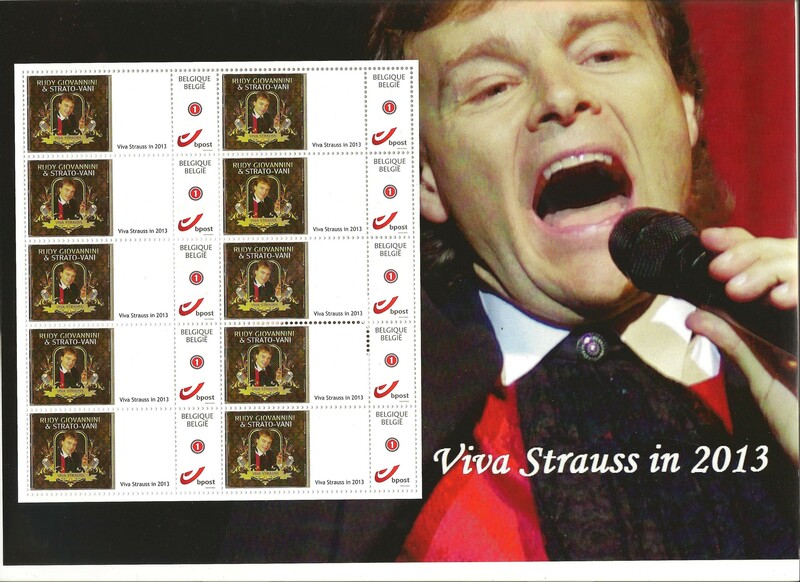 Price €20.99. 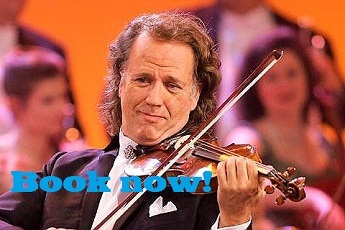 NOTE: delivery takes 10-15 days.